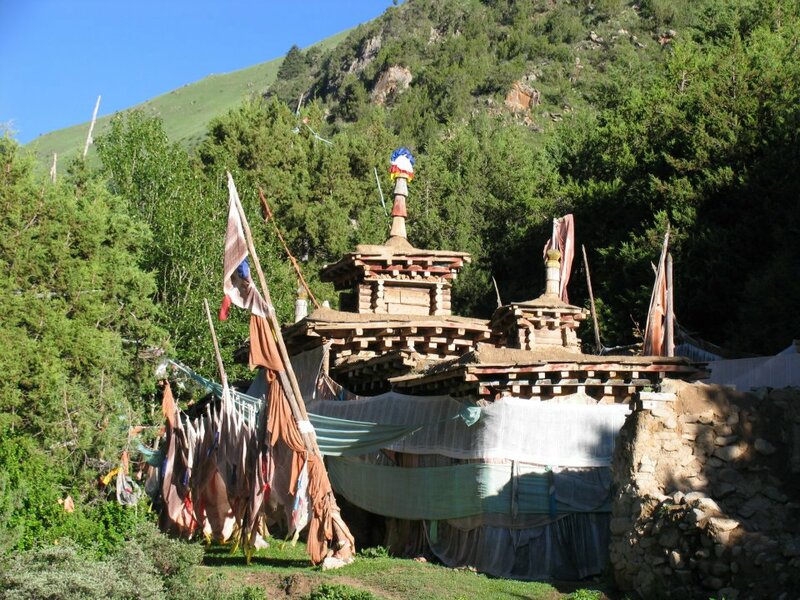 This mountain hermitage was founded by the great master Shardza Tashi Gyaltsen in 1890 at the age of 33. 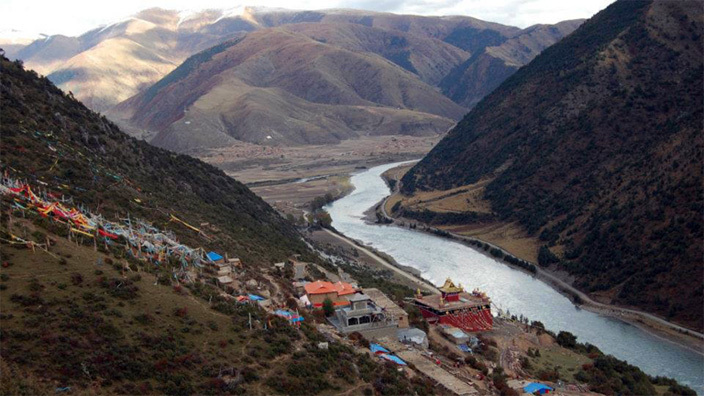 It is located in the Kham region of Tibet on the Northeast bank of the Dzachu river and is inaccessible by vehicle. 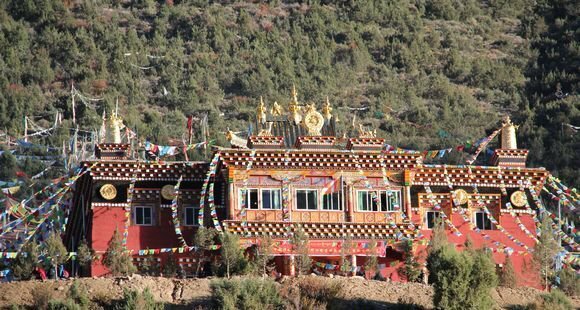 The place where Shardza lived and meditated is located further up the mountain and referred to as the ‘upper hermitage’, or Dechen Ritro, the mountain hermitage of great bliss. Below, is the ‘lower hermitage’ consisting of the temple where he taught his disciples as well as a small printing house. During Shardza’s lifetime, the hermitage only housed a few of his disciples. Now, however, it is a famous pilgrimage place for both Bönpo and for Buddhist. It is also a place for personal retreat, especially long-term. Because it is a hermitage rather than a monastery, retreatants provide for their own food and necessities although laypeople do offer some donations of meat and roasted barley flour, or tsampa, a traditional Tibetan food. In 1934 at the age of 76, Shardza Tashi Gyaltsen attained the rainbow body as a sign of his great realization. Rainbow light was seen coming from the tent where he had retreated, and upon entering the space, his disciples discovered that his body had shrunk to the proportional size of a 1 year old and that it was levitating above his meditation seat. His remains were placed in a reliquary chorten which has been seen to emit rays of clear or rainbow colored light. The current successor of Shardza Tashi Gyaltsen at the hermitage is Gyaltsab Thutop Namgyal. Posted on August 25, 2014, in Tibetan Lamas, Yungdrung Bon Monasteries and tagged Asian studies, pilgrimage, spirituality, tibet, Tibetan history, yungdrung bon. Bookmark the permalink. 5 Comments. I’m delighted to see this photo. I’ve spent many months locating monasteries in Kham and elsewhere in Google Earth. Shardza’s hermitage was one of the trickiest ones, but from your photo I can tell I was correct in my reasoning. Please let me know if you would like the coordinates (or a copy of my Google Earth map “pin”). A breeze of bliss, a smile of gratitude. We know 4 Rainbow bodies. 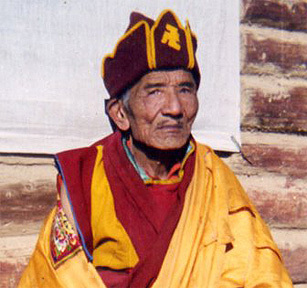 Which body did attain Shardza Rinpoche? 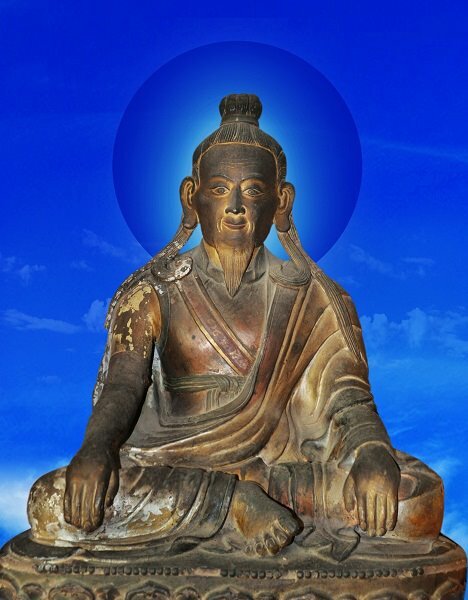 Shardza Rinpoche’s body proportionally shrank to the size of a 1 year old child and the hair and nails had detached from the body at the time that the process was interrupted by one of his disciples.